These are just the physical uses of fire; think about how nice campfires are, then imagine how you’re going to feel in a post-disaster situation. That feeling of personal comfort will be an added bonus. 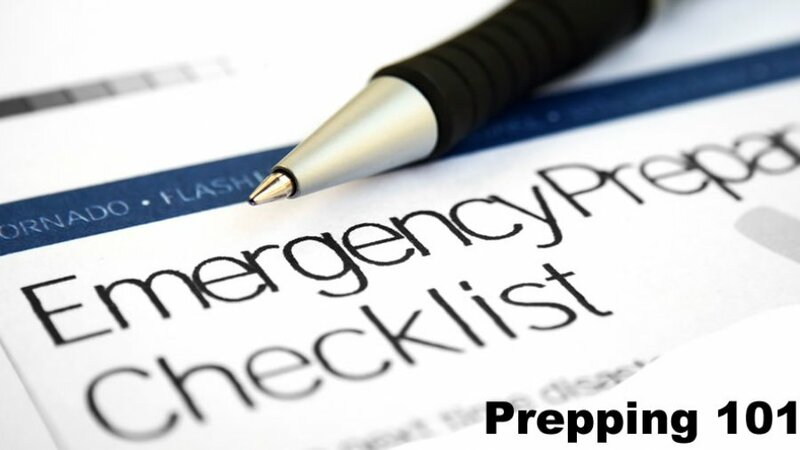 Because you don’t know what disaster may strike or what you may need to use for tinder or fuel, it’s best to have several different fire-starting options. There are always the old-school friction bow and 2 sticks methods but they really aren’t ideal because they require a ton of effort and near-perfect conditions to work. Instead, I like to keep at least 4 ways to quickly strike a flame in my fire starting kit. This is the age-old, tried-and-true method of creating fire. Make sure that you buy waterproof ones, waterproof your own, or seal standard household matches in a waterproof container. Used film canisters are great for this because they’re made to keep out moisture. Also, use wooden matches instead of paper ones. 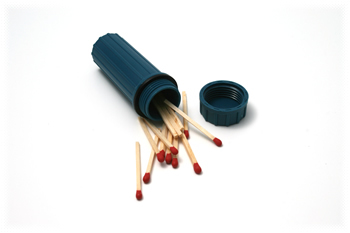 Matches are a must have item in a fire starting kit. 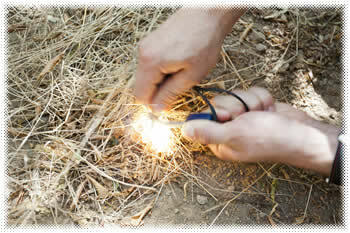 There are numerous flint and magnesium fire starting kits available at camping stores and superstores. They’re often small and easy to carry. The benefit of using one with magnesium instead of just the old-fashioned flint is that if your tinder is damp or green, you can shave off some magnesium, light it, then use that fire (which burns at about 5400 degrees, to light your not-so-awesome tinder. Again, these must be included in your fire starting kit. This may seem like a no-brainer if you’re a smoker but many non-smokers don’t even own a lighter. Keep at least 2 lighters handy: one cheap disposable one and one butane one. The butane one is great for staying lit in wet or windy situations. Keep a little bottle of extra gas for it, too. This synthetic metal throws off a large amount of extremely hot sparks when you scrape it against textured surfaces such as other metals. Because the sparks burn at about 3000 degrees F and the rods work equally well wet or dry, they’re a great addition to your fire starting kit. Ferrocerium rods come in different sizes that range from wallet-sized to several feet long. Mix pieces of wood shavings in a coffee can with hot wax until it’s coated and a little thick. Before it cools, completely stuff them into a toilet paper roll and stick a birthday candle in each end. Let it dry, then cut it in half and voila! You have two really effective fire starters. Fill each chamber of an egg carton with pine shavings, dryer lint, magnesium shavings, steel wool, or other flammable items. Fill the chambers with melted wax and let it set. Break them into individual pieces. If you’d like, put birthday candles or wicks in them to make them easier to light. If you’re going to start a fire, you’re going to need good tinder to get it going because you can’t just light whole pieces of wood. 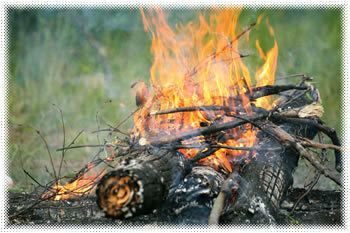 Here are a few not-so-obvious household items that you can add to your fire starting kit. Just put them in a waterproof container (I use a plastic sandwich box). You can also buy commercial fire starters made from all kinds of tinder. Magnesium shavings also work really well. Even if you have food, water and shelter, you’re going to need to stay warm. It’s also nice to have hot food as well as hot water for coffee or washing. For that, you’re going to need fire, so get your fire kit together. Being warm isn’t just a luxury, it’s a necessity. To learn about some alternate sources of fuel to heat your home with, check out our article here.